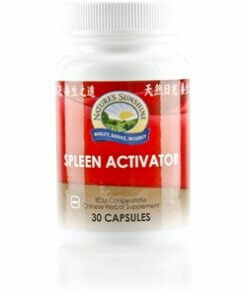 Nature’s Sunshine Spleen Activator TCM Concentrate is a combination of 17 Chinese herbs formulated to provide a “kick-start” to a tired body and may aid with digestive function. Spleen Activator TCM is highly concentrated for maximum efficiency. Nature’s Sunshine Spleen Activator TCM may also help with those annoying nighttime leg cramps. Instructions: Take one or two capsules with a meal daily. Each capsule is equivalent to 6 capsules of regular Chinese Spleen Activator combination. TCM denotes Traditional Chinese Medicine.